First cut a 6" x 9 1/2" piece of Stampin' Up! Melon Mambo card stock and fold it in half for the base, then cut a 4 1/2" x 5 3/4" piece of white for the front. 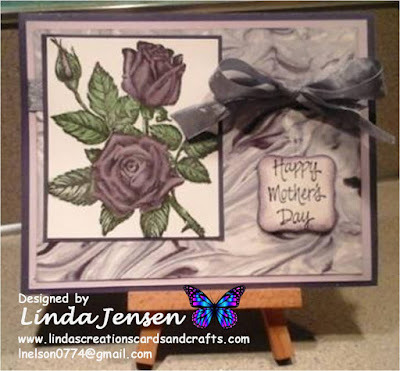 Then stamp two flowers on a piece of Stampin' Up! Pink Pirouette card stock, cut them out, attach them to each other with mini pop dots, then attach the button and rhinestone with hot glue and set aside. Next using a Stamp a ma jig and a stamp from a Stampin' Up! Summer Silhouettes set stamp the lattice with Stampin' Up! Island Indigo ink, the leaves with Garden Green and the sentiment with a stamp from a Stampin' Up! Butterfly Basics in Melon Mambo ink. 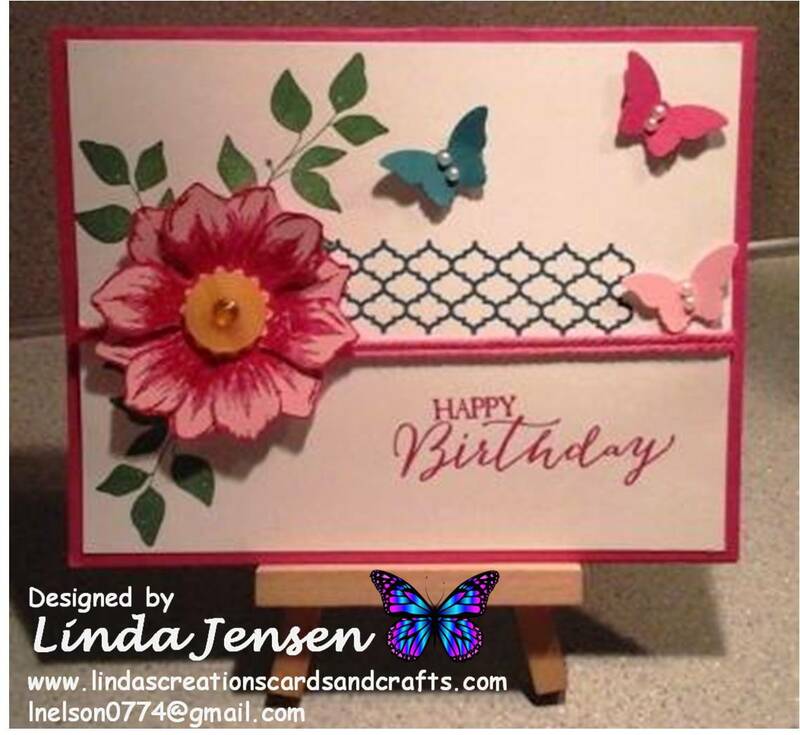 Then punch the butterflies out of Melon Mambo, Island Indigo, and Pink Pirouette card stock using a Stampin' Up! Bitty Butterfly Punch, attach the self-adhesive pearls to their centers then attach them to the front layer with mini pop dots. Next attach the Stampin' Up! Thick Baker's Twine and the flower to the front with mini pop dots then attach the front layer to the base and enjoy!